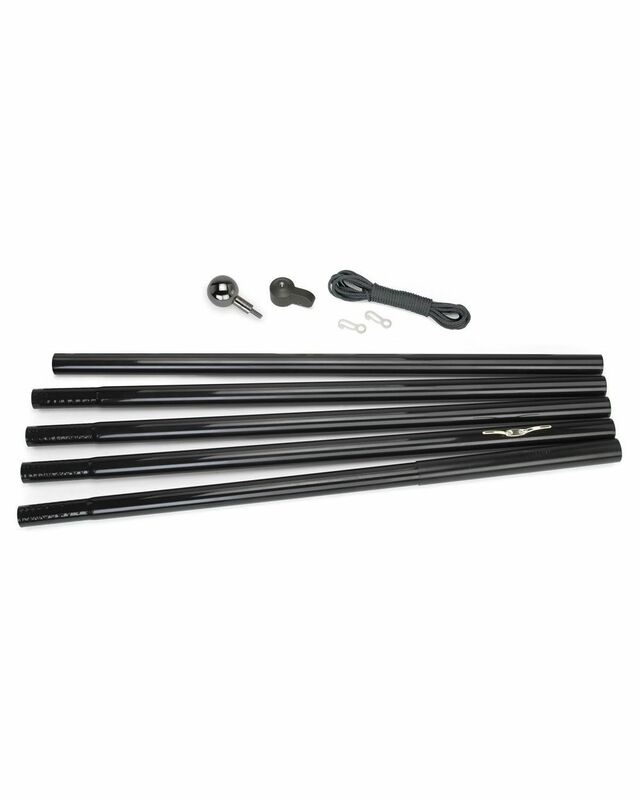 This flagpole set includes : 18 ft. x 2 in. steel 5 - section black flagpole 3 in. vacuum metalized gun metal ball topper 18 - gauge powder - coated steel pole 6 in. vacuum metalized aluminum cleat 1/4 in. solid braided polypropylene black halyard rope 2 nylon snap hooks 18 in. PVC ground sleeve 2 in. aluminum truck 100% Made in the U.S.A.